Coco growers that really want the best of the best choose CANNA COCO. 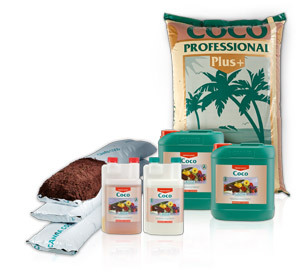 It is a sophisticated combination of high value coco substrates and fertilisers that guarantee the best results. Coconut fibres have sufficient capillary action to retain enough water and nutrients. This means that the plant can go for longer periods without water, which could happen if a feeding pump was to break down for example.